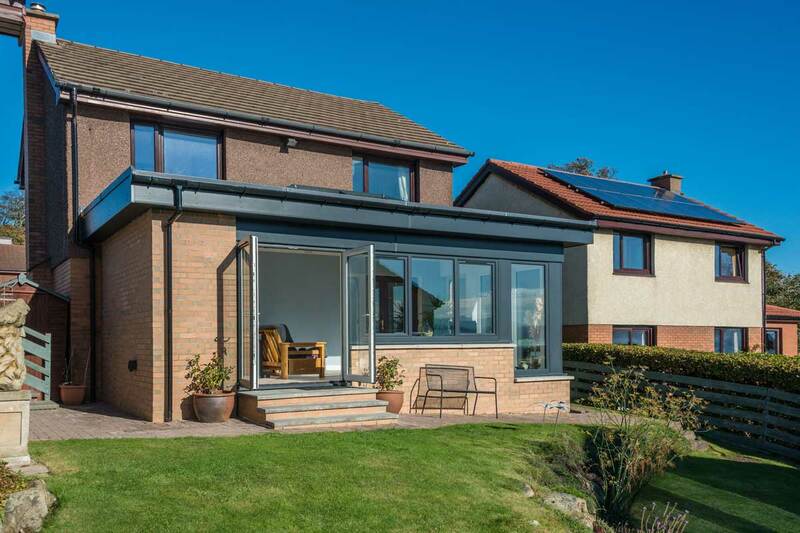 We recently installed one of our beautiful sunrooms in a local Dunfermline home. Stunning and secure, this product has made a fine addition to the property. Consisting of a gorgeous lantern roof, beautiful French doors, brick work columns and more, this sunroom installation was a blast to manufacture and install. Dr & Mrs Bull approached our team with the intention of expanding their home into their large garden space, and our team worked directly with them during the planning stages. We first worked out the dimensions and shape required by the customer, taking note that they were looking for a sunroom that ran the length of the back of their home. They also wanted a combination of privacy and natural light, so we opted for a blend of brick work and large windowpanes. Our French doors were the perfect for this same reason. Built on a raised section which puts the extension on the same level as the rest of the home, a series of steps connects the build with the garden. 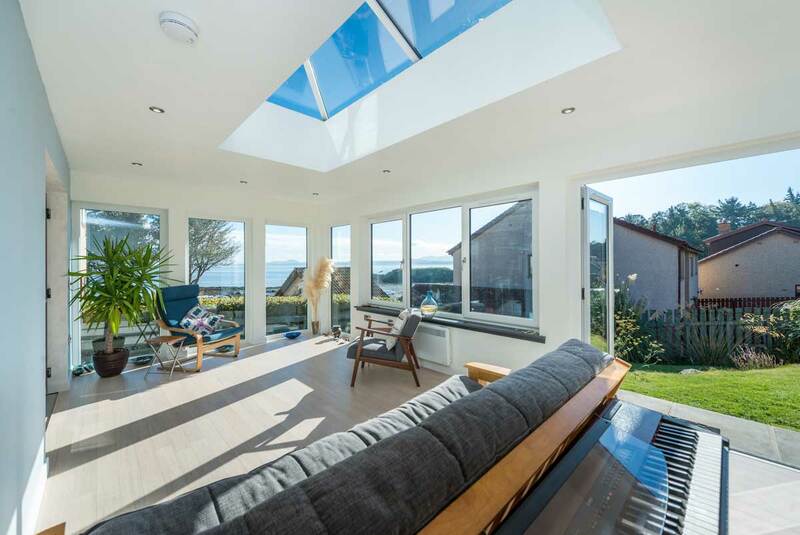 In the meantime, the flat design of the roof lends the property a contemporary flair, which is further bolstered by modern modifications such as the down-lights and wooden flooring. This particular sunroom absolutely showcases the character of the property, and easily stands to this day as a reflection of the homeowner’s architectural tastes. 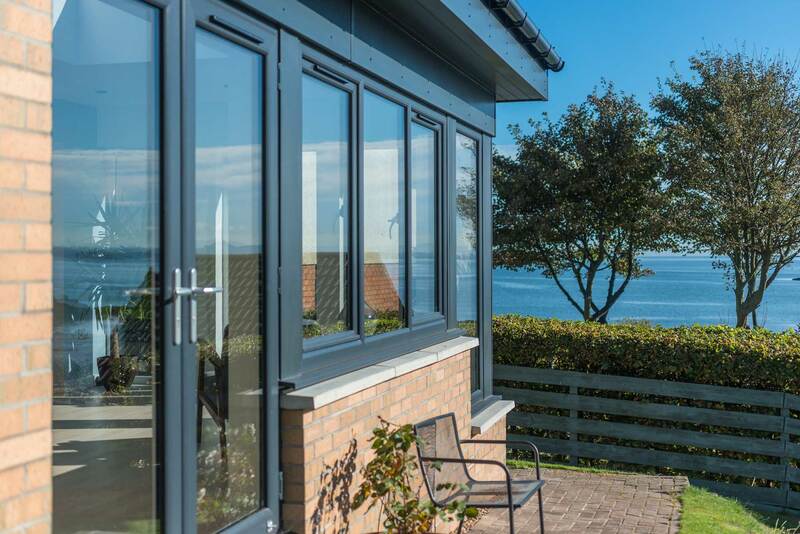 The brick work columns are super-insulated, meaning that the occupants now enjoy a warm sunroom all year round, and the thermally efficient double glazing lets light heat the room naturally. We also connected this room to the house in two separate places, meaning that the whole house felt the benefits of the expansion. 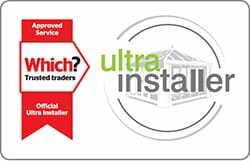 As an Official Ultra Installer with over 25 years of experience in the industry, we were easily the best choice for the job. Our talented teams boast technical expertise and all the relevant qualifications, as well as a wealth of hands-on experience. From a purely aesthetic point of view, this is one of the most awe-inspiring sunroom installations we’ve ever completed. 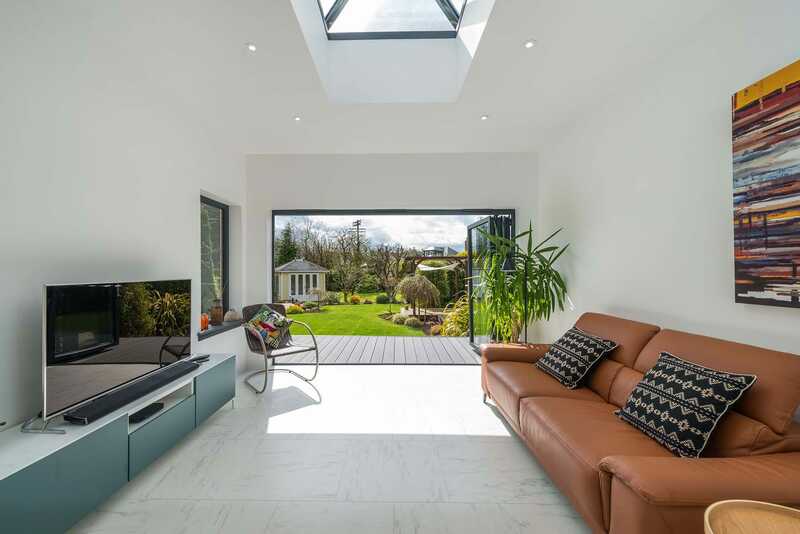 From the wall-length windows to the beautiful lantern roof, this extension offers a modern approach to home improvements. Ultimately, the homeowner only had one thing to say about their experience with SRJ Windows; “Brilliant” (Dr Bull, 2018). If you’d like to experience what it’s like to work with SRJ Windows, then reach out to our team today. Just like these happy homeowners, you too can enjoy a market-leading sunroom installation at an affordable price. Give us a call now on 01383 851 951; we’d be happy to help. If you’d rather send us a message however, then you can visit our online contact form. Whether you try to call us or decide to submit a request in writing, we’ll be more than willing to answer your questions about our many products and services. 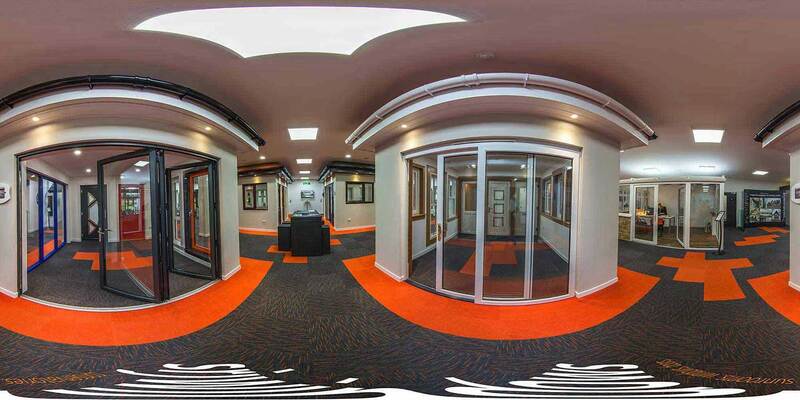 You can also visit the SRJ quotation engine for a quick price on your new sunroom installation. This handy tool delivers free, no-obligation quotations at the click of a button and is easily the best way to get a personalised quote within a matter of minutes.